It was only last week that I posted on Rev2 about Microsoft’s investment in facebook and how they had beaten Google to the chase. Whilst Google had always been considered as a serious bidder in the battle for facebook shares, it would be very un-characteristic of them to not have their own plan to stamp their authority in the social networking space. So, in true Google fashion, it seems that they intend to do just this with a plan that is apparently code named MakaMaka. MakaMaka seems to be Google’s wider strategy to add a linking social networking element to all of their existing application offerings. In addition to this Google are also said to be planning the use of the feed technology utilized by Google Reader in order to produce functionality akin to that of the facebook news and mini-feed’s. According to trustworthy industry sources, the first signs of MakaMaka will be noticeable to the public around early November. It is at this pint that we will apparently start to see the opening up of Googles main web 2.0 applications such as iGoogle. 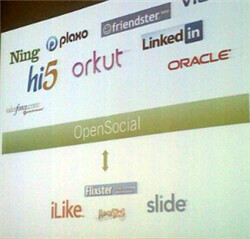 The new set of API’s that will be offered will also allow 3rd Party developers to build for Google’s very own social network, Orkut. Facebook definitely lead the way in terms of ‘open development platform’ policies. However, it certainly seems that Google have intentions to hatch a plan (MakaMaka) that will rival the bold move made by Zuckerberg at facebook earlier this year. The one aspect of the MakaMaka strategy that will concern facebook the most (should these predictions be accurate) will be Google’s intentions to treat the whole web as a development platform rather than restricting developers to the confines of Google’s platform alone ala facebook. What this creates is a scenario where appls built for Google become instantly applicable for a variety of other uses outside the Google platform. Google To Pull Out of China?